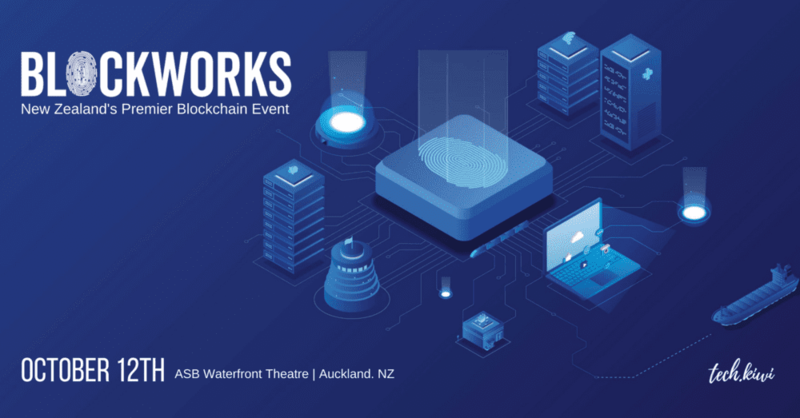 The Blockworks conference this week is set to boost the polarising debate about blockchain technology and its potential to transform the way we do business, govern and how we live. Taking place on Thursday 11th and Friday 12th October, the conference will start with a series of workshops on day one, followed the next day by a packed full-day event presenting how blockchain is transforming supply chain, finance, transport and services. Six international experts are speaking alongside Kiwi innovators including Aaron McDonald, CEO of Centrality.ai, who will talk about New Zealand’s economic potential as we take back ownership and control of information. Three hundred people have registered for the events over the two days at the ASB Waterfront Theatre in Wynyard Quarter, Auckland. “Blockchain will bring benefits to everyone because it delivers better trust and security for information. It does this using digital and tamper-proof records or blocks of data that people can control instead of giving it away to a third party. “The breadth of applications is a result of the increasing number of situations where we need to manage digital data that we also want to control and keep secure, whether for personal, business or social reasons,” he says. “Just this weekend we had around 100 people at our hackfest developing groundbreaking ideas using blockchain. One showed customers that buying carbon credits did actually result in a tree being planted in a specific plantation, which wouldn’t be possible without the transparency provided by blockchain. Another provided direct farm to plate supply chain proof for the benefit of farmers and consumers, and without the need to use middlemen. Other headline speakers include international Smart Cities expert Prof. Boyd Cohen, an urban strategist focused on smart cities and the Internet of Mobility - he will present on creating innovative and entrepreneurial urban environments, of great relevance to New Zealand’s rapidly evolving cities. Also speaking is Assoc. Prof. Alex Sims from the University of Auckland Business School and principal researcher of a recent report recommending a regulatory framework for blockchain. She will focus on the practical applications of blockchain and how it will transform business and society. Blockchain technology is often associated with bitcoin and therefore its well-publicised roller-coaster ride. However, the technology’s true value comes from it being built on cryptography, a way of storing and transmitting data securely. The aim of Blockworks is to grow the conversation about blockchain so people start to understand its enormous potential.